In a bowl, combine the eggs, butter, sugar, lemon zest, lemon juice, and anise extract. 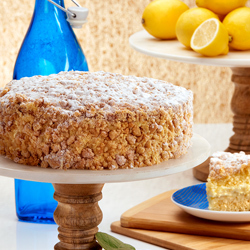 With an electric mixer, beat the ingredients until well combined, about 3 minutes. Add the flour, baking powder, baking soda, and salt; beat on low to combine. Gather up the dough into a ball, wrap in plastic wrap, and refrigerate for 30 minutes. On a lightly floured surface begin to form the baskets. To form the basket handle, start with a piece of the dough about the size of a walnut. Gently roll the dough into a thin pencil shape about 10 inches long. Repeat with another piece of dough. Place the 2 lengths side by side and twist one over the other like a spiral. Place the handle onto a baking sheet in a horseshoe shape. Take about 1/4 cup of the dough and form a thick oval or egg shape. Place one of the hard boiled eggs in the center of the oval. Press it down gently to embed it in the dough but don't push it through the dough. Place the dough with the egg on top of the ends of the basket handle. Press lightly to adhere the shape to the basket handle. Continue making the baskets in this manner. About 4 basket cookies should fit on each baking sheet. Bake for 20 minutes until very slightly golden brown. In a small bowl, stir together the confectioners' sugar, lemon juice, and milk until smooth. Use a pastry brush to gently brush the icing on each cookie; don't brush icing on the eggs. Place the cookies on a wire rack over a baking sheet and dust with the colored sprinkles. Add the sprinkles while the icing is still wet so that they will adhere. Allow the icing to dry and harden before storing. The cookies may be stored in a covered container in the refrigerator for about a week. Baking colored eggs into bread is a common Italian Easter tradition. In this recipe, the dough is sweeter and has more of a crumbly cookie texture than bread. 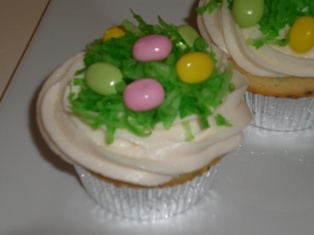 Easter Egg Cookies are usually made for children to enjoy. 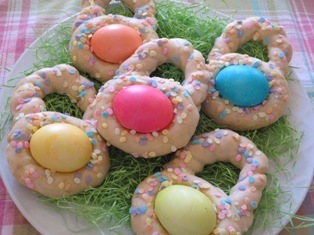 The cookies can also be made as gifts for friends or tucked into Easter baskets with other treats. 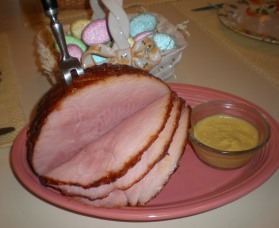 They are nice served as part of an Easter morning breakfast or Easter brunch. Shaping the cookies into baskets is the way we demonstrate here but they may also be formed into bunnies, or dolls, or whatever shape you prefer. We recommend using medium size eggs and boiling the eggs for only 5-6 minutes before coloring them. Since the eggs will be baked with the cookies, this prevents the eggs from becoming over-cooked and tough. Large eggs may be used but the smaller size just seems to be a better proportion for the cookies. This charming and playful collection has been made to add whimsical charm to your kitchen and entertainment space. A quirky way to serve up your favorite treats. Topsy makes a lovely stand for your macaroons, cupcakes, cookies, and fruit! Short on time? Are you tired of standing over the boiling pot hoping that the eggs don't get overcooked? Simply choose your preferred eggs and set the timer. Make hard boiled eggs, soft boiled eggs, poached eggs, scrambled eggs, individual omelets, and all within minutes of the push start button. The auto-shut off function prevents overcooking, and the buzzer will alert you when your eggs are ready. It's so simple, even your kids can use it.